Professor John Sturrock QC is an internationally recognised mediator and coach. He has mediated hundreds of disputes in the UK, mainland Europe, the Middle East and Africa. He is founder, Chief Executive and Senior Mediator at Core Solutions Group in Scotland, a Visiting Professor at the University of Edinburgh and a mediator at Brick Court Chambers, London. Since leaving active practice at the Scottish Bar in 2002, he has pursued a full-time career as a mediator, facilitator, conflict specialist and coach. He has mediated in government, commerce, industry, the professions, sport, the public sector, senior management and other sensitive and complex matters and has facilitated many high-level dialogues. John has conducted many high level, high value, multi-party mediations in a number of jurisdictions. These disputes range over the public and private sectors and often involve a multiplicity of interests, including commercial contracts, banking, insurance, construction and engineering, infrastructure, intellectual property, real estate, sport, high level employment, shareholder and boardroom, investor matters, taxation, IT, professional indemnity, agriculture, landlord and tenant, oil and gas, procurement and transport. John’s style is engaging and innovative with an emphasis on being rigorous on the issues when necessary, while recognising the need for respect and dignity amongst all concerned. Adept at working with people at every level, he is respected for his ability to get to the heart of matters, while engaging at a very human level. John trained in negotiation at Harvard University under Professor Roger Fisher and as a mediator with CEDR, both in 1996. He was named Mediator of the Year at the Law Awards of Scotland in 2009. He was awarded the Honorary Degree of Doctor of Laws from Edinburgh Napier University in 2010. He has been responsible for bringing world leaders in the field of conflict resolution, such as William Ury, the co-author of the seminal work, Getting to Yes, Kenneth Cloke and Peter Adler to Scotland. He is currently a Visiting Professor in the School of Social and Political Science at the University of Edinburgh. Noted as „one of the best teachers of mediation“, he specialises in conflict management training and coaching for senior government officials, civil servants, executives and sports leaders. For many years, he has worked with senior civil servants and various parliamentary bodies throughout the UK (including the Westminster and Scottish Parliaments and the Northern Ireland, Welsh and London Assemblies) on effective scrutiny of policy. He was a special adviser on dialogue to the House of Commons Public Administration and Constitutional Affairs Committee. He works regularly with senior officials at the Scottish Government on policy and political issues at the highest levels. He has trained Cabinet Office officials in London. He facilitated the 2020 Climate Change Delivery Group in Scotland from 2009 to 2013. He has worked with UK Sport, the English Institute of Sport, Sportscotland, and many sports’ governing bodies and athletes for a number of years, particularly in the lead up to the London Olympics. He is a founder of Collaborative Scotland, an initiative to bring respectful dialogue to Scottish politics and public affairs, and is the author of its Commitment to Respectful Dialogue. He is a frequent writer and commentator on collaboration in the political world. John’s work is well regarded in other parts of the world. He is a member of the Standards Commission of the International Mediation Institute, a regular speaker at the American Bar Association Dispute Resolution Conference and is involved in many other international initiatives, most recently as the co-host of the keynote seminar at the launch of the Singapore International Mediation Centre in 2014, as a key note speaker at a major conference on dispute resolution in New Zealand in 2015, leading workshops for justice officials in Turkey in 2015, addressing students and professionals at the University of Florence in 2016 and leading training work in Africa on conflict resolution and reconciliation in 2016 and 2017. He is a Distinguished Fellow of the International Academy of Mediators, at whose conferences he is a regular speaker and of whose Spring Conference in Edinburgh 2018, he is Chair. He is a frequent contributor of articles to newspapers and journals and chapters to books on mediation (for example, Essays on Mediation: Dealing with Disputes in the 21st Century, published by Wolters Kluwer in 2016 and Practical mediation: A Guide for Mediators and Others, by Jonathan Dingle with John Sephton, published by Law Brief Publishing in 2017) and also publisher of a book on Thinking Differently: Making a Difference Using Mediation in the public and private sectors in Scotland. John Sturrock was the first Director of Training and Education at the Scottish Bar from 1994-2002. During that time he established the Bar’s world leading and award winning advocacy skills programme. As a member of the Judicial Studies Committee, he also designed and delivered the first skills training courses for Scottish judges. He studied at the University of Edinburgh from 1976 to 1980, graduating with a First Class Honours degree in Law. He served as Senior President of the Students Association in 1980-81. In that position, he was a member of the University Court and Senate. He was awarded a Harkness Fellowship by the Commonwealth Fund of New York and studied for a Masters’ degree in international law (LLM) at the University of Pennsylvania in 1984-5. 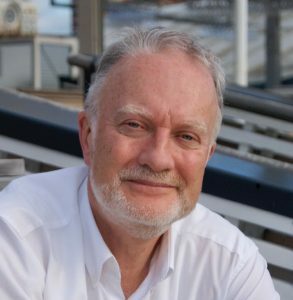 Professor John Sturrock QC ist ein international anerkannter Mediator und Coach. Er hat Hunderte von Streitigkeiten in Großbritannien, dem europäischen Festland, dem Nahen Osten und Afrika beigelegt. Er ist Gründer, Chief Executive und Senior Mediator der Core Solutions Group in Schottland, Gastprofessor an der University of Edinburgh und Mediator am Brick Court Chambers, London. Seit seinem Ausscheiden aus der aktiven Praxis an der Scottish Bar im Jahr 2002 hat er eine Vollzeitkarriere als Mediator, Moderator, Konfliktspezialist und Coach verfolgt. Er hat in den Bereichen Regierung, Handel, Industrie, Berufe, Sport, öffentlicher Sektor, Senior Management und anderen sensiblen und komplexen Themen vermittelt und viele hochrangige Dialoge geführt. John hat in einer Reihe von Gerichtsbarkeiten viele hochrangige, hochwertige Mediationen mit mehreren Parteien durchgeführt. Diese Streitigkeiten erstrecken sich über den öffentlichen und privaten Sektor und umfassen oft eine Vielzahl von Interessen, darunter Handelsverträge, Banken, Versicherungen, Bauwesen und Ingenieurwesen, Infrastruktur, geistiges Eigentum, Immobilien, Sport, Beschäftigung auf hohem Niveau, Aktionärs- und Vorstandszimmer, Investorangelegenheiten, Steuern, IT, Berufshaftpflicht, Landwirtschaft, Vermieter und Mieter, Öl und Gas, Beschaffung und Verkehr. Johns Stil ist engagiert und innovativ, wobei der Schwerpunkt darauf liegt, die Themen bei Bedarf konsequent anzugehen und gleichzeitig die Notwendigkeit von Respekt und Würde unter allen Beteiligten anzuerkennen. Er ist erfahren in der Arbeit mit Menschen auf allen Ebenen und wird für seine Fähigkeit respektiert, den Kern der Dinge zu verstehen und gleichzeitig auf einer sehr menschlichen Ebene zu arbeiten. John absolvierte seine Ausbildung in Verhandlungsführung an der Harvard University bei Professor Roger Fisher und 1996 als Mediator beim CEDR. Bei den Law Awards of Scotland wurde er 2009 zum Mediator of the Year ernannt. Im Jahr 2010 wurde ihm die Ehrendoktorwürde der Edinburgh Napier University verliehen. Er war verantwortlich für die Vermittlung von Weltführern auf dem Gebiet der Konfliktlösung, wie William Ury, dem Co-Autor der wegweisenden Arbeit, Getting to Yes, Kenneth Cloke und Peter Adler nach Schottland. Derzeit ist er Gastprofessor an der School of Social and Political Science der University of Edinburgh. Als „einer der besten Lehrer der Mediation“ gilt er als Spezialist für Konfliktmanagement-Training und Coaching für hochrangige Regierungsbeamte, Beamte, Führungskräfte und Sportlehrer. Seit vielen Jahren arbeitet er mit hochrangigen Beamten und verschiedenen parlamentarischen Gremien im gesamten Vereinigten Königreich (darunter das Westministerium und das schottische Parlament sowie die Versammlungen von Nordirland, Wales und London) zusammen, um eine wirksame Kontrolle der Politik zu gewährleisten. Er war Sonderberater für den Dialog im Ausschuss für öffentliche Verwaltung und konstitutionelle Fragen des Unterhauses. Er arbeitet regelmäßig mit hohen Beamten der schottischen Regierung in politischen und politischen Fragen auf höchster Ebene zusammen. Er hat in London Kabinettsbeamte ausgebildet. Von 2009 bis 2013 leitete er die 2020 Climate Change Delivery Group in Schottland. Er arbeitet seit einigen Jahren mit UK Sports, dem English Institute of Sports, Sportscotland und vielen anderen Sportverbänden und Athleten zusammen, insbesondere im Vorfeld der Olympischen Spiele in London. Er ist Mitbegründer von Collaborative Scotland (www.collaborativescotland.org), einer Initiative zur Förderung eines respektvollen Dialogs in der schottischen Politik und Öffentlichkeit, und Autor des Commitment to Respectful Dialogue. Er ist ein häufiger Autor und Kommentator über die Zusammenarbeit in der Politik. Johns Werk wird in anderen Teilen der Welt sehr geschätzt. Er ist Mitglied der Normenkommission des International Mediation Institute, regelmäßiger Referent der American Bar Association Dispute Resolution Conference und engagiert sich in vielen anderen internationalen Initiativen, zuletzt als Co-Moderator des Keynote-Seminars bei der Eröffnung des Singapore International Mediation Centre im Jahr 2014, als Key Note Speaker bei einer großen Konferenz zur Streitbeilegung in Neuseeland im Jahr 2015, als Leiter von Workshops für Justizbeamte in der Türkei im Jahr 2015, als Referent für Studenten und Fachleute an der Universität Florenz im Jahr 2016 und als Leiter der Trainingsarbeit in Afrika zur Konfliktlösung und Versöhnung in den Jahren 2016 und 2017. Er ist ein angesehener Fellow der International Academy of Mediators, auf deren Konferenzen er regelmäßig spricht und deren Frühjahrstagung 2018 in Edinburgh er den Vorsitz führt. Er schreibt regelmäßig Artikel für Zeitungen und Zeitschriften und Kapitel für Bücher über Mediation (z.B. Essays on Mediation): Umgang mit Streitigkeiten im 21. Jahrhundert, veröffentlicht von Wolters Kluwer 2016 und Praktische Mediation: A Guide for Mediators and Other, von Jonathan Dingle mit John Sephton, veröffentlicht 2017 bei Law Brief Publishing) und Herausgeber eines Buches über Anders denken: Mit Mediation im öffentlichen und privaten Sektor in Schottland etwas bewegen. John Sturrock war von 1994-2002 der erste Direktor für Training und Ausbildung an der Scottish Bar. Während dieser Zeit etablierte er das weltweit führende und preisgekrönte Advocacy Skills Programm der Anwaltskanzlei. Als Mitglied des Judicial Studies Committee entwarf und führte er auch die ersten Skills Training Kurse für schottische Richter durch. Er studierte von 1976 bis 1980 an der University of Edinburgh und schloss sein Studium mit einem First Class Honours Degree in Jura ab. Von 1980-81 war er Seniorpräsident der Students Association. In dieser Funktion war er Mitglied des Universitätsgerichts und des Senats. Er erhielt ein Harkness-Stipendium vom Commonwealth Fund of New York und studierte 1984-5 an der University of Pennsylvania einen Master-Abschluss in Völkerrecht (LLM).